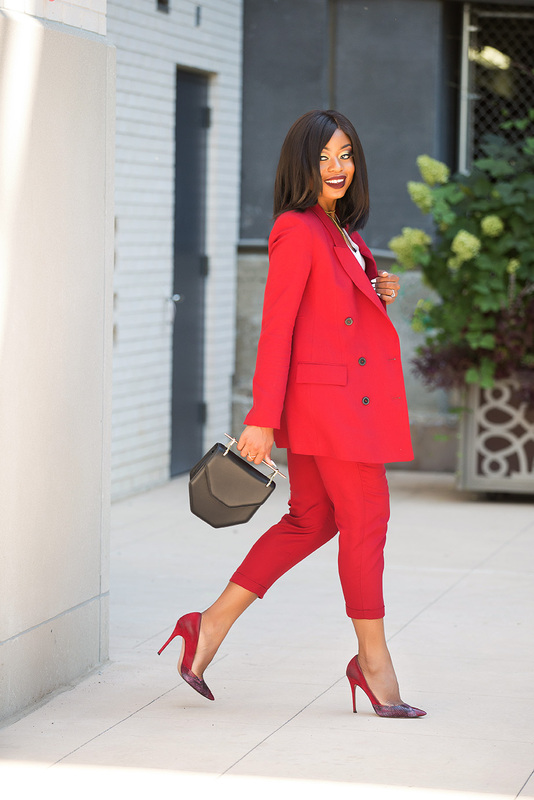 I hardly purchased red pieces until a few years ago and in the last few months, I have worn this red dress (here) , red pants (here) and plan on restyling on future posts. 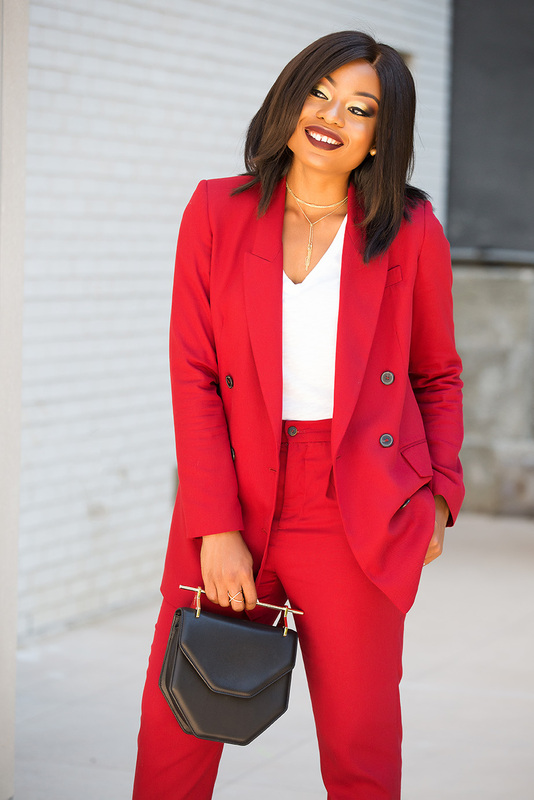 Red and burgundy remain my favorite fall colors and red is a must-have this fall. I am wearing a red suit with a burgundy undertone for today's fall work style. I casually styled it with a white tee as White tees are great for styling work suits for casual work days. 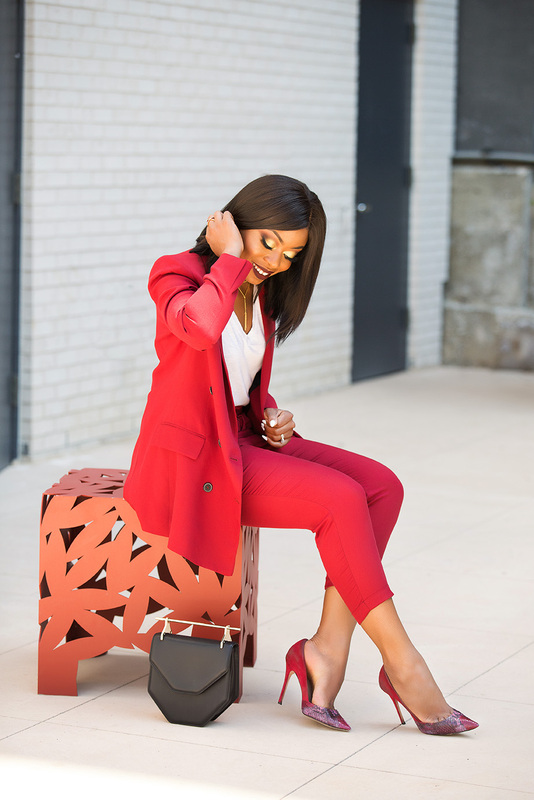 I completed the look with red/burgundy pumps to complement the suit. woow this outfit is beautiful. This outfit is well put-together! Well I need a red suit asap!!! This style has got swag. This outfit is too fabulous! P:inned!!! !